The DTIPU40 series of AC/DC desktop switching mode power supplies provide up to 40 watts of continuous output power. 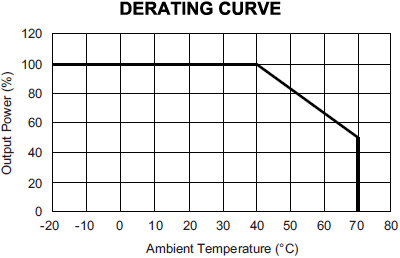 All models have a single output, universal input voltage range, and an operating temperature range of -20°C ~ +70°C. These supplies are also protected against over voltage and over load conditions. 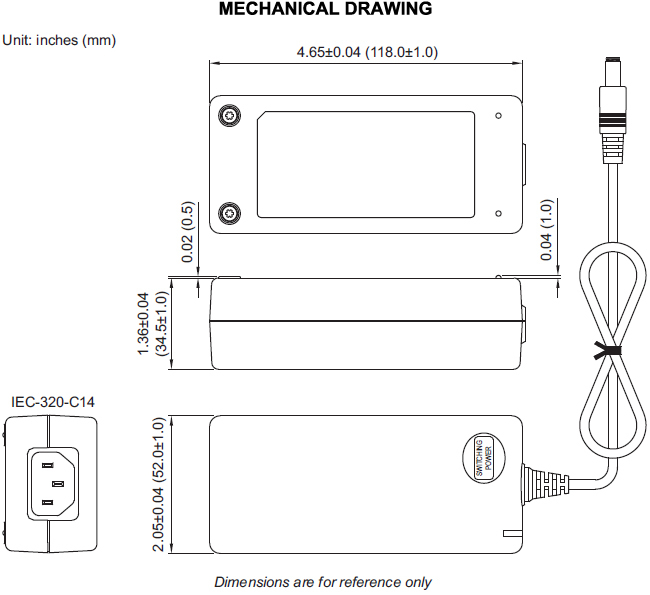 All supplies are also UL 94V-1 compliant and include an IEC-320-C14 input connector for worldwide applications. All models meet FCC-Part-15 class B and CISPR-22 class B emission limits and are designed to comply with UL/c-UL (UL 60950-1), TUV/GS (EN 60950-1), and new CE requirements. These supplies are CEC and Energy Star compliant as well as 100% burn-in tested. Notes: 1. The output voltage is specified as a range (ex: 40~50VDC); the customer must specify what they would like the output voltage set at. 2. Models with an output voltage less than 30VDC have been approved by TUV/PSE. 4. Models DTIPU40-102~105 need to use AWG#16/4FT output cable in order to meet the total regulation specified. Models DTIPU40-106~111 need to use AWG#18/4FT output cable in order to meet the total regulation specified. 5. Optional output connectors available. Please call factory for ordering details.